Ceasefire in Eastern Ukraine: What Role for the United Nations? As announced just a few minutes ago, the Ukrainian and Russian president have agreed to what the first reports call a permanent ceasefire in Eastern Ukraine. That’s indeed the best piece of news from that region. It places the NATO Summit in Wales this Thursday and Friday in a new light. However, an agreement over a phone is only a beginning; the devil is in the detail. Secondly, there is no mention – yet – as to whether the East Ukrainian fighters are on board with this agreement. Third, a credible ceasefire should be monitored by neutral observers and competent people. The only ones who can do that is the UN peace-keepers – perhaps with some staff also from Russia and Ukraine. The UN should have been present months ago – as TFF suggested even before the shooting started: Military ‘blue helmets’, civil police and civil affairs – thousands of them. No ceasefire will hold unless there is a rapid international deployment of impartial staff. 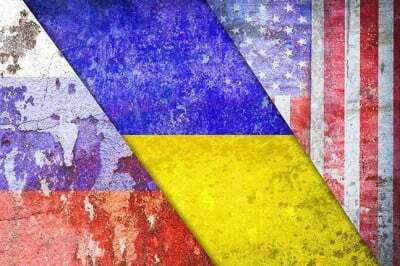 The proxy character of war in and about Ukraine must end. In addition, calm in Eastern Ukraine must be seen as a precondition for political reforms in Kiev and discussions about the future structure and role of Ukraine. No coup-based government of the present type can lead the way to true democracy. Fourth – there have been numerous reports about various kinds of Russian military presence inside Ukraine, some more credible than others. All wars on the ground are accompanied by information wars and Psychological Operations, PSYOPs and planted stories – few media having any filters. It would not be surprising if there is a Russian military presence inside Ukraine, given the history and structure of this conflict since 1989 and during this year. On the famous other hand, a heavy-weight intelligence expertise calls those reports ‘dubious’ and reminds us of the lies we were told before the invasion of Iraq. It’s obvious that if there is such a presence it must be withdrawn. Fifth – a ceasefire agreed between Ukraine and Russia makes every attempt by NATO to continue interfering in Ukraine immoral. The U.S., NATO and EU countries carry at least 80% of the responsibility for the Ukraine crisis due to the foreign provoked regime change in Kiev and the EU ultimatum to Ukraine about either joining the EU or the eastern Customs Union. And longterm – because of NATOs expansion from the Baltic republics to Tblisi. These policies lack statesmanship, are reckless in the perspective of promises given to Gorbachev when the old Cold War ended and can be seen only as provocative in the eyes of Russia. i) NATO’s S-G Fogh Rasmussen – a man at least the Danes know are ready to lie to get a war going – keep on appealing to Ukraine about NATO membership. All this is – without a doubt – counterproductive, escalatory steps that signals anything but a will to respect other peoples interests and create peace. NATO should therefore discuss how to contribute to real peace in this situation at its summit Thursday and Friday and scrap what has been planned already according to media and intelligence reports.